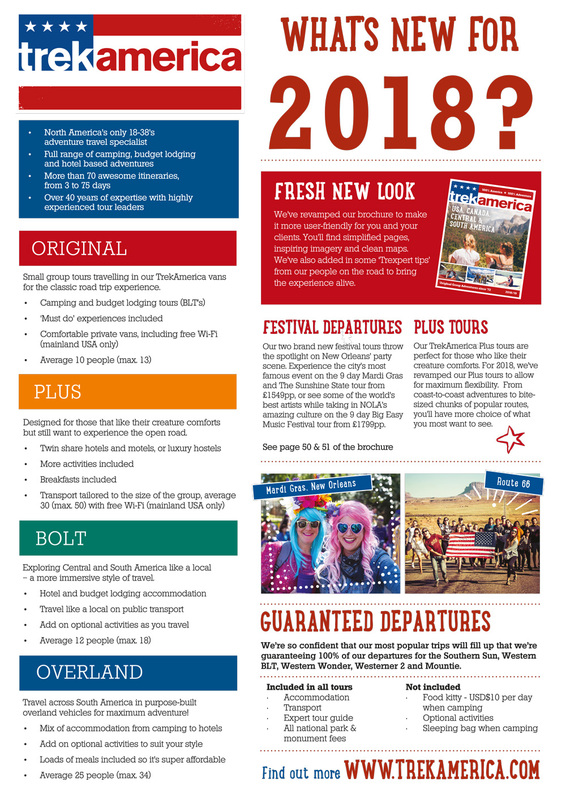 Leaders, Minis and what’s new for TrekAmerica in 2018?! You mean apart from the product knowledge, the commission and being an expert in North America...?! How about we give you a free mini adventure?! That's right....FREE! We get it. As an agent, it certainly makes it easier to sell if you have experienced it, so complete the modules and we will happily send you on one of our selected mini adventures to help educate you! If however, you find yourself with a bit more time and/or our mini adventure left you wanting more, we will offer up to a massive 75% discount for your own trip! 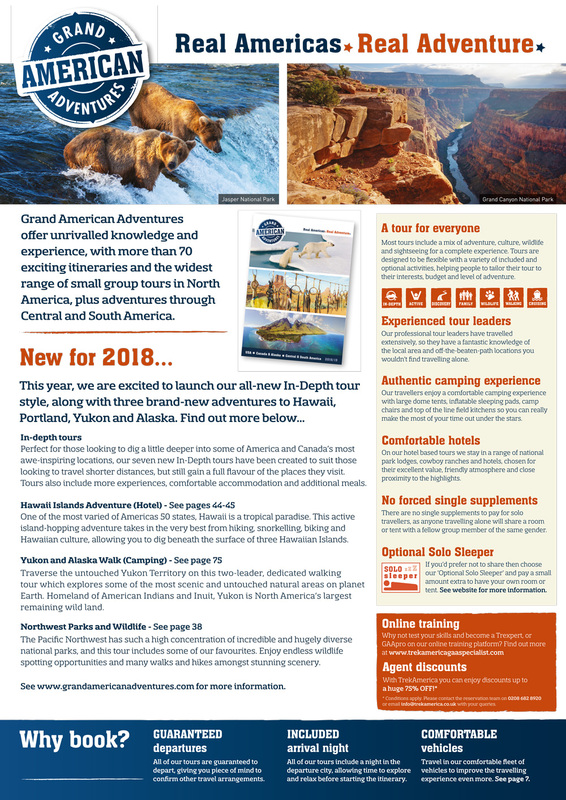 Terms and conditions apply, please contact info@grandamericanadventures.com for more details. Below you will also find our helpful "cheat sheet" that helps to give an idea of what was new for each brand in 2018!